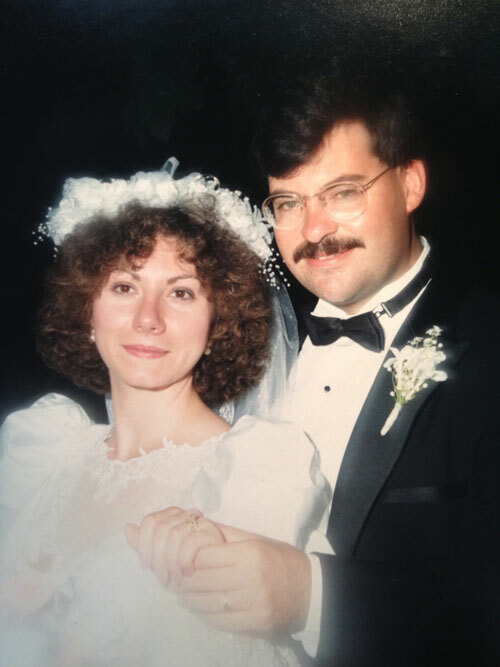 That may have been the first point of contact for Michael and Fausta (Locorotondo) ’82, but the two didn’t reconnect until after law school when Fausta was interviewing for a job at the Bronx District Attorney’s office, where Michael worked. A mutual friend recommended that she reach out to him. “And you know I thought, Jaspers help each other!” Fausta says. Not only did she get the job, but she got Michael too. The pair wed in June of 1987. A few years later when the couple decided to start a family, tragedy struck and they lost two children to health defects. Instead of letting the heartbreak stall their lives, Michael and Fausta pressed ahead, developing their careers, volunteering with charities — and, eventually growing the family again. Today the couple has four healthy sons — Joseph, William, and twins John and Philip — and celebrated 25 years of marriage last summer. “Losing children inspired us as a family in many ways,” says Michael, who began writing a children’s book called The Concert Hall Cats after the tragedy. Years later, Joseph began illustrating the book and now the family plans to publish the story. Aside from running their law practice in Somers, N.Y., Michael and Fausta continue to give back by acting on a number of community boards. Dear to Fausta’s heart is Special Kids of NY, an organization that aids the families of special needs children. Michael, a Somers town justice for 14 years, has committed his time in the courtroom to helping troubled young men and women find the right path. “We were blessed by having wonderful children who have seen us engaged in community activities. As they grow, they’ve adopted our same attitude toward service,” Michael says, noting that Joseph, a sophomore at Manhattan College, is majoring in peace studies and is considering joining the Peace Corps after graduation. Working together each day for 10-plus years now, it’s safe to say that Michael and Fausta’s bylines are still side-by-side.